Regent Seven Seas Cruises’ latest ship, Seven Seas Explorer, has entered its final year of construction, with the maiden voyage planned to depart Monte Carlo on 20 July 2016. 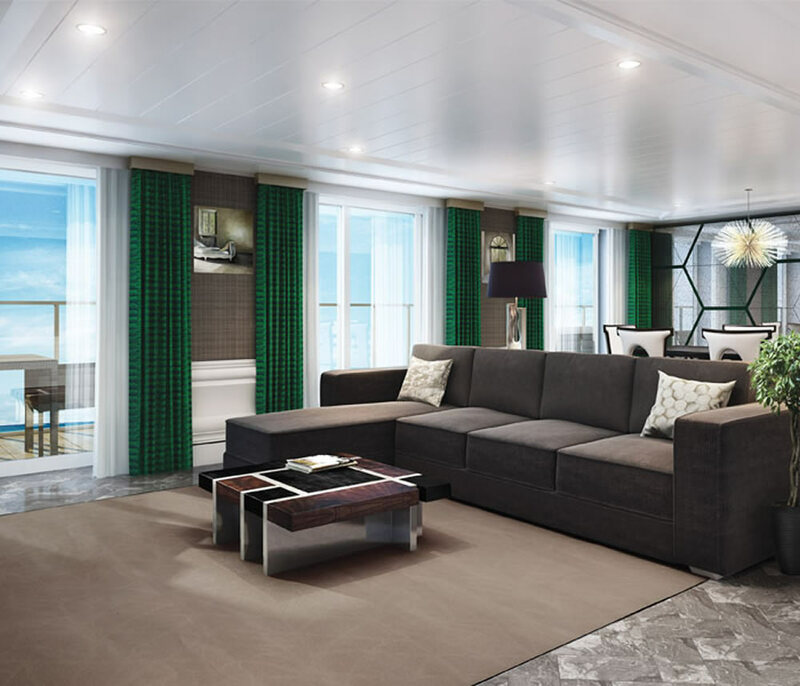 Billed by Regent Seven Seas Cruises as “the most luxurious ship ever built” the all-suite, all balcony 750-guest Seven Seas Explorer will boast opulent public spaces, lavish restaurants and elegant suites. 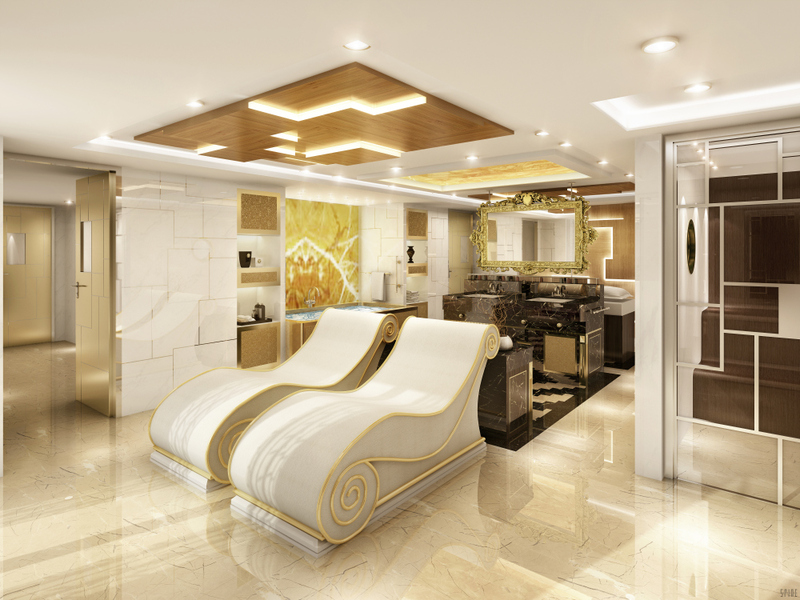 The Regent Suite will be the most luxurious cabin available aboard and will be a 3,875-square-foot Park Avenue-style apartment. It will come complete with an in-room spa retreat and a custom Steinway Arabesque piano. An outdoor, glass-enclosed sitting area named the Vista Garden will provide magnificent, unobstructed 270-degree views over the ship’s bow. Inclusive amenities to those booking this suite will include a private car with driver and guide in every port, free unlimited laundry and pressing, business and first class air as well as limousine transfer to and from the airport. Based on a 10-night cruise in the Mediterranean next year, the Regent Suite can be yours from £2,737 per person per night. Meanwhile Deluxe Suites start from £513 per person per night. Three distinct speciality restaurants have been revealed. Open exclusively for dinner will be the signature steakhouse, Prime 7. Chartreuse will feature a classic French menu with dishes expertly prepared using classic and modern French gastronomy techniques. 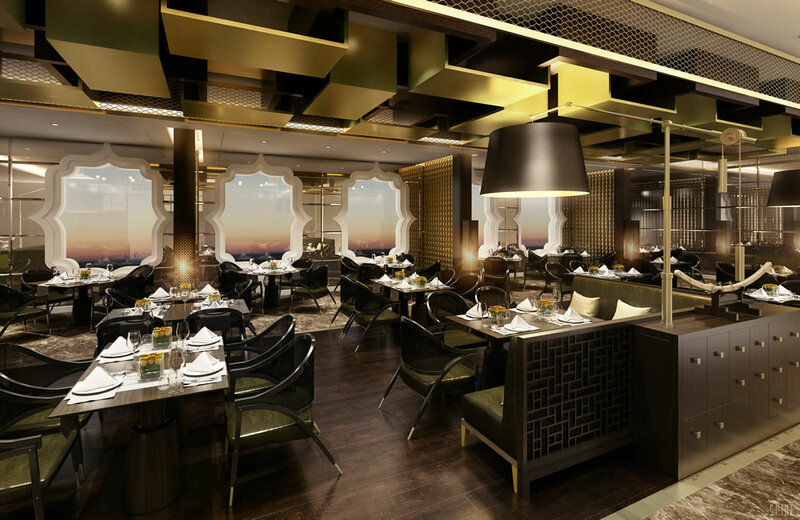 Pacific Rim will feature a diverse array of delightfully prepared pan-Asian dishes. Culinary Arts Kitchen will be reminiscent of the most prestigious cooking schools in France in both layout and design. 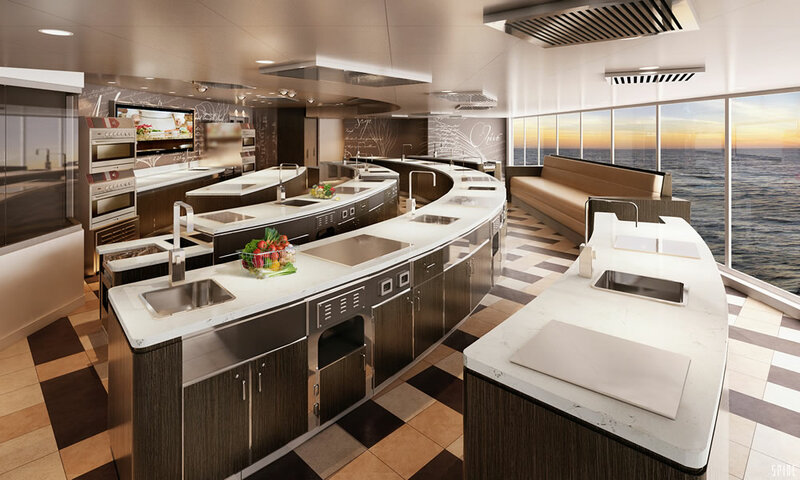 Fully equipped culinary workstations will feature top-of-the-line induction hobs, stainless steel sinks and a comprehensive collection of cooking essentials. More than a dozen unique classes are planned, covering healthy cooking, fish and shellfish preparation, perfect food and wine pairings for entertaining, delectable mini-desserts, high-heat grilling, and classes inspired by the destinations visited by the ship. Canyon Ranch SpaClub will be a lavish, state-of-the-art spa featuring an infra-red sauna, aromatic steam room, and cold room. The spa will offer a selection of exclusive ultra-luxurious treatments developed by Canyon Ranch in partnership with lifestyle and beauty experts, Red Flower. A private outdoor teak-deck terrace will be filled with plush lounge chairs that surround an infinity-edged plunge pool contouring the stern of the ship for magnificent views across the horizon. As the construction works entered the final one year countdown Regent Seven Seas Cruises uploaded a video documenting the latest build progress of Seven Seas Explorer. The video explains that in order to reduce the build time two separate superstructure sections of the ship were built at different yards belonging to Fincantieri. In the video we see those two sections unite. To view a gallery of images of the forthcoming Seven Seas Explorer click here. Seven Seas Explorer will sail her maiden voyage from Monte Carlo on 20 July 2016 and will spend her inaugural season in Europe before heading across the Atlantic Ocean to Miami for a series of Caribbean voyages.